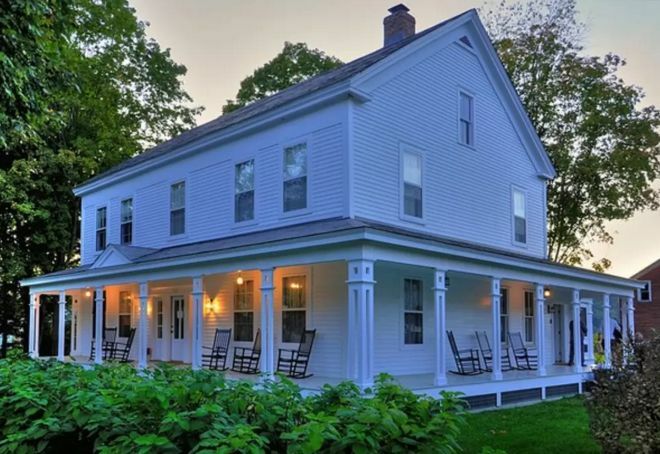 This dream-like Farmhouse has been featured on the instructional cooking television show Cook's Country TV. 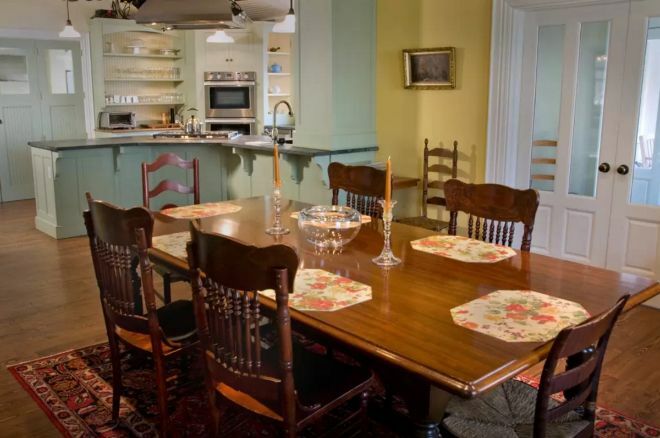 Anybody looking to take over the famous kitchen for themselves can do so by renting out the house via its AirBnB page. 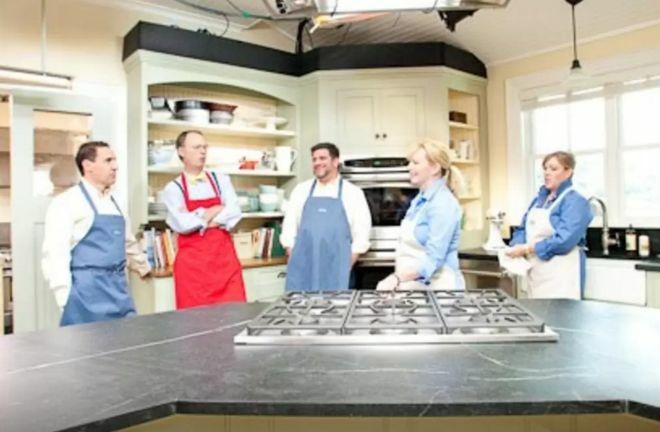 As anyone would imagine, the kitchen used by a TV cooking show comes fully stocked with anything you could desire. The outside of the Farmhouse itself is extremely peaceful and picturesque. A porch wraps around the front and sides of the building. The stovetop is unconventionally attached to an island in the center of the kitchen. There is plenty of space to prepare meals on either sides of the stove. 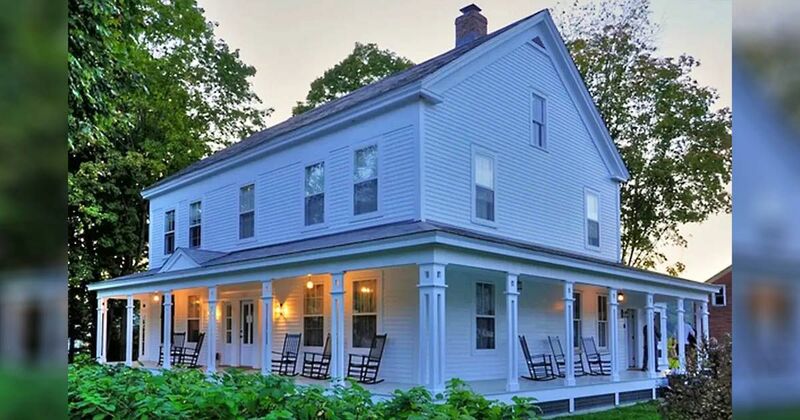 A nice kitchen requires a nice dining room, and this Vermont Farmhouse delivers. The dining room is nothing extravagent, but it's extremely inviting and warm. 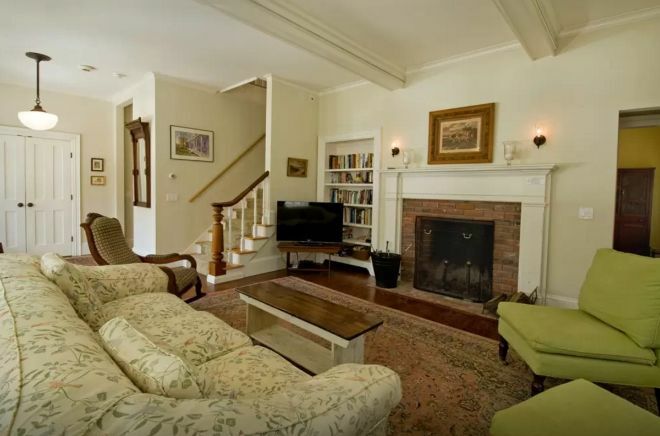 After the meal, enjoy a family gathering in this cozy living room. No television set means families will need to rely on old-fashioned conversation to entertain themselves. 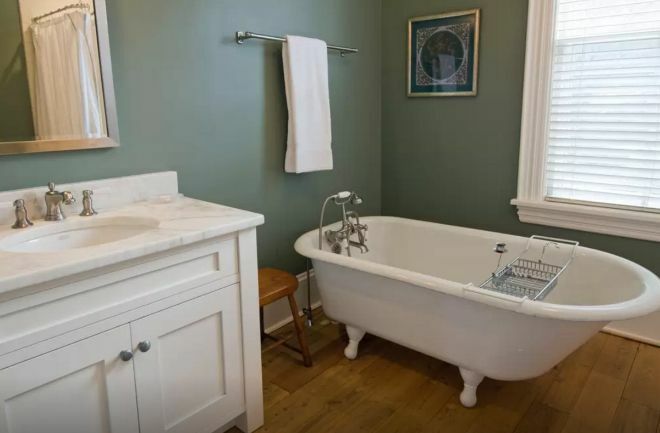 Nothing screams "classic" quite like a clawed bathtub. The house is shaded by trees that keeps the porch cool even on sunny summer days. 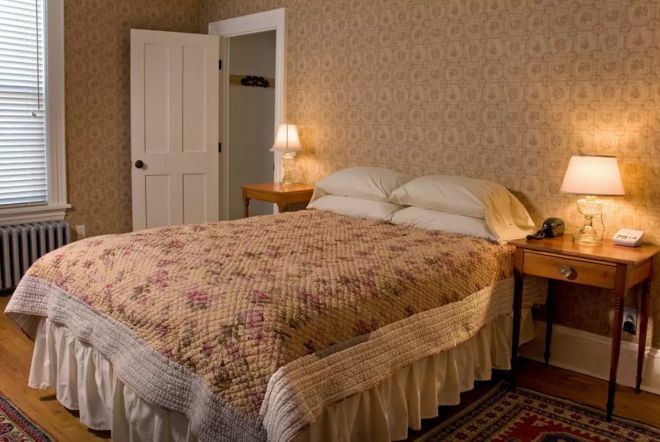 The building was originally built 200 years ago, and it was part of a dairy farm. Since then, parts of the house have been renovated and others have been completely rebuilt. 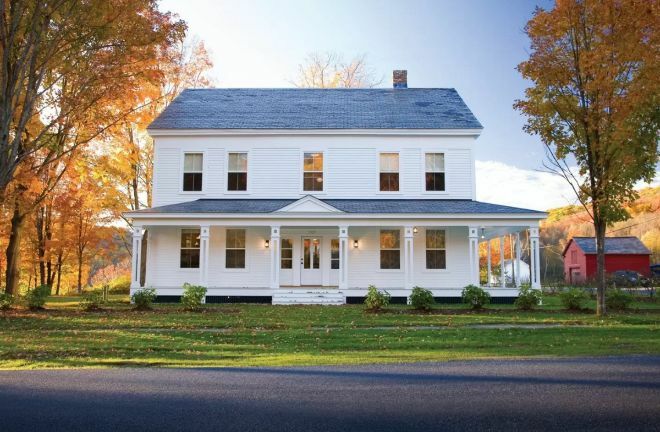 The result is an old-fashioned Farmhouse that has all the comforts of a modern home.